LT Loan is a beautiful and responsive Loan website template that will be perfect for your Joomla site to promote business such as financial consultant, advisor, bank…Coming with wonderful appearance and nice look content organization, LT Loan is promised to attract more and more attention from potential customers to approach closer to your business. It is easy for you to show off all of your business information with eye-catching design. This template framework created with strong Page Builder based on the new Helix Ultimate, supporting Font Awesome, Compress files and so on. 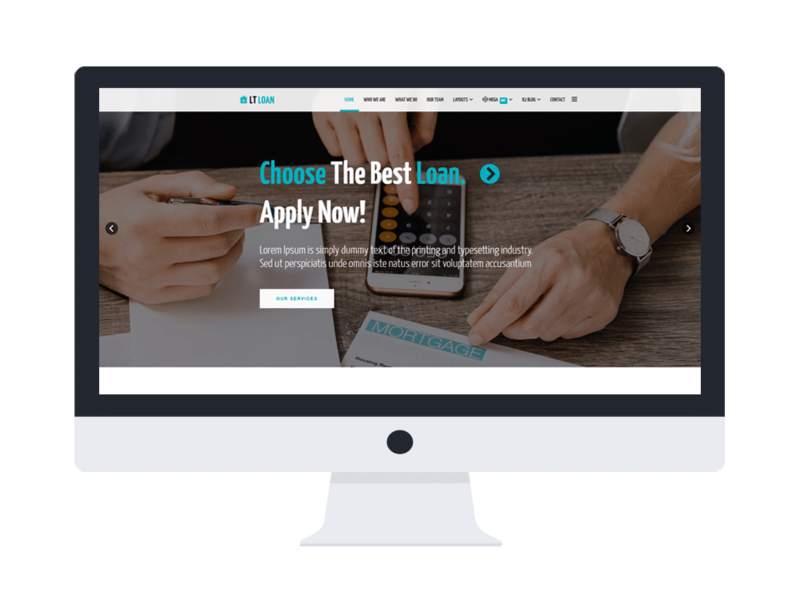 Besides, LT Loan is also equipped with cross-browser compatibility and other features that helps you make any changes you want to build the site beautifully. The look on mobile is a plus point for LT Loan, with fully responsive layout. There are still many features which are waiting you to come and explore, go and grab it now! L.THEME provides high quality Joomla! templates and WordPress themes with premium designs!